Happppy Cinco de Mayo, my friends!!! Today is my most favorite holiday…and for good reason. I mean what better day than a day devoted to tacos, guacamole, and chips!!! Unfortunately, (or fortunately, because I feel GREAT) I won’t be able to participate on the actual day, for I am following the Women Code Reset Cleanse and today is my last day. But you better bet your bottom dollar I will be celebrating on Saturday, baby! 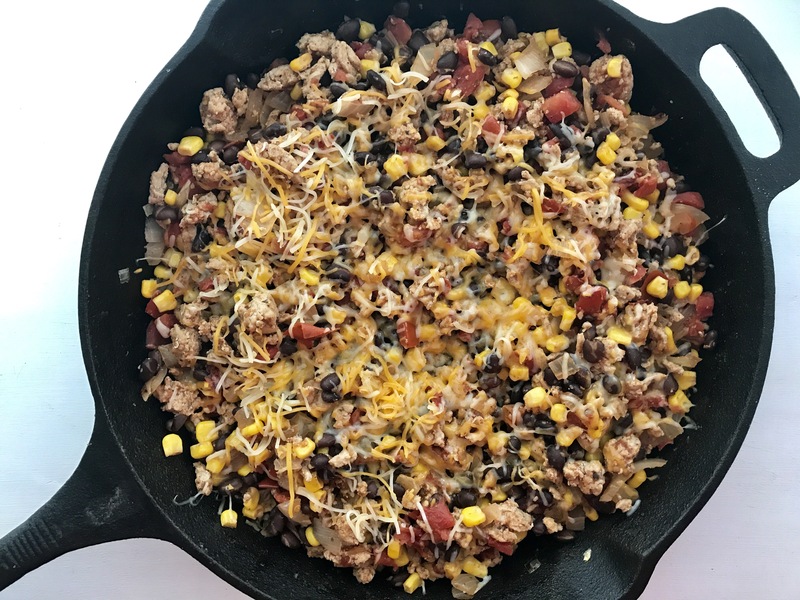 I made this One Pot Turkey Taco Skillet last week and my goodness it was so good and so easy. Again, another meal for the evenings you are rushing home after a long day and only have minutes to get something on the table! Or tonight since it is raining cats and dogs here in the Northeast and going out to a restaurant ain’t gunna happen. Greek Yogurt, avocado, hot sauce etc. In a large pan, heat 1 tbsp avocado oil over medium heat. Add ground turkey to the pan and lightly brown it, mixing and breaking into crumbles. Drain any excess fat, then add onions and saute until translucent. Add the tomatoes and taco seasoning and mix well. Mix in the beans and corn, then add the greens and let them wilt as you incorporate them in to mixture. Option to sprinkle with cheese and green onions. 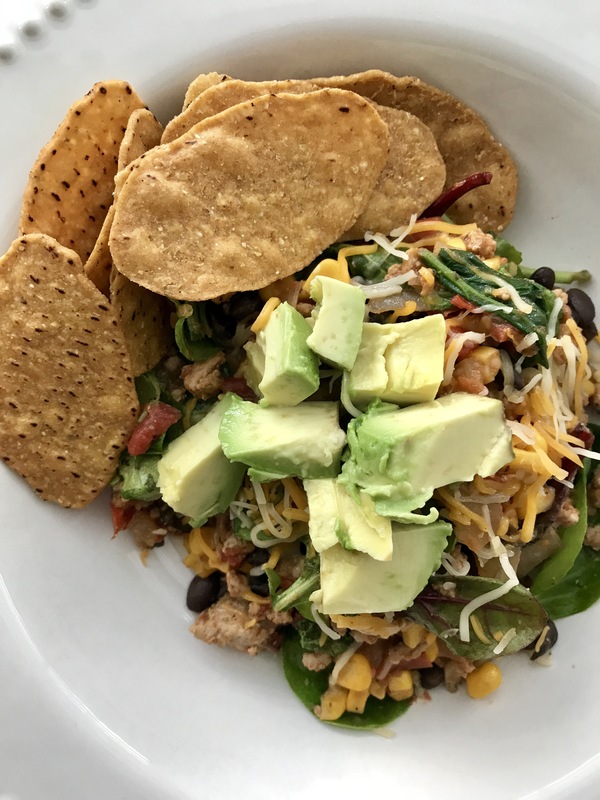 Serve alone, with chips, overtop brown, rice or quinoa. Add a dollop of Greek Yogurt or avocado slices to finish it off!